IT TOOK a brush with a life- threatening illness to convince India Wallace to change her journey in life. Now with insight from the experience, the Forest Range resident uses her compassion and understanding to help others who find themselves in the same position. In 2003 at the age of 42, the single mother was diagnosed with an aggressive breast cancer and feared for the future of herself and her 14-year- old daughter Ruby. Prior to diagnosis, she was working in a fast-paced media career with long hours, stress and an unhealthy diet and was pushing her body to the limits. When diagnosed with cancer, she was shocked and scared, but her strong spirit ignited a determination to cure herself by any means she could. “This was the worst day of my life, but I knew I had to survive as my daughter was still in my care,” she said. The approach to heal herself was simple – she changed just about everything in her daily life. After procedures of a lumpectomy, chemotherapy and radiation, she decided to take a holistic approach to her treatment. Starting with diet, she reduced her workload and began daily meditation and sought out a professional healer to heal her emotional state. “This changed my life in a way I had never imagined,” she said. “It made me open up and address some old wounds and helped me accept myself and what was happening in my life. “I studied Buddhism and began practicing its teachings – something that has continually given me great meaning in my life. “Living a holistic life has given me the faith to let go of expectations and help me live each day in the present moment. 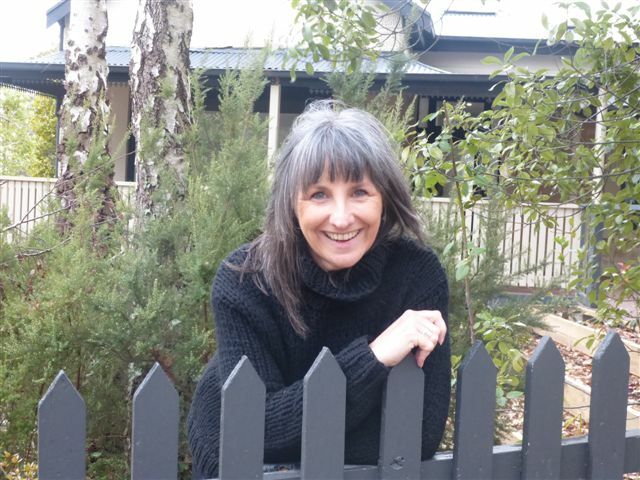 Ms Wallace gained valuable experience by training with the Gawler Foundation which led her to volunteering at Buddha House and The Cancer Care Centre. She travelled to India on a pilgrimage, gaining valuable insight and experience. Her personal meditation and teaching practices in compassionate care are much in demand, including Learn to Meditate courses for beginners and weekly sessions for those with some experience, based in Piccadilly, McLaren Vale and Goodwood. “I am now 13 years in remission from the cancer, but above that and best of all, I have found peace in my life,” she said. “For me, the outcome of living or dying is not the issue and the important goal is to live without the effects of stress. “At this time in my life, I am doing what I really love as nothing makes me happier than helping others. “I know how important it is to have people who care around when dealing with a life-threatening situation. “My sister Bronny and my workmate Margie Budich at my workplace Rip It Up publishing gave me the support that I needed when I was diagnosed with cancer. “Good support is very important to all people in crisis and I feel privileged to be able to give that support to others. “I am a ‘middle way’ person, not extreme in any form. In 2012/13 Ms Wallace developed and co-ordinated the SA Patient Village Paver Appeal for the Leukaemia Foundation and is currently a tour guide for the South Australian Health and Medical Research Institute in Adelaide. At the institute, she manages and conducts group tours and engages with the public to ensure information about the research of the organisation is presented in an informative manner. In her spare time, she enjoys spending time with Ruby, family and friends. “Life has to be balanced,” she said. “There is no need to be insular or always resting to be peaceful – that comes from within. “Daily meditation and prayers keep me grounded so I can live life to the fullest. “I still have a busy career and love being with people, but at the end of the day I can go home to my partner Tim and all our animals on our beautiful, rural and restful property at Forest Range and feel calm. “Our home is on 9ha with horses, cattle, dogs, cats and many native animal visitors as well as a forest nearby that we walk through regularly to find peace at the end of a busy day. “It is only 25 minutes to the bottom of the hill and after leaving the rush of the city, all our cares and worries are left behind. “My work is in the middle of the city, on the Fleurieu and in the Adelaide Hills and my home is ‘very country’ and wonderfully secluded.